Celebrating the life of Thomas Leslie Hagewood, Jr.
Obituary for Thomas Leslie Hagewood, Jr.
Tom Hagewood, age 90, of Clarinda, Iowa entered into peace Thursday, March 21, 2019 at Good Samaritan Care Center, Villisca, Iowa. Graveside services will be held 3:00 PM Tuesday, March 26, 2019 at Clarinda Cemetery, Clarinda, Iowa with military rites accorded by American Legion Sergy Post 98. Visitation will be held Tuesday, March 26, 2019 at Ritchie Funeral Home from 1:00 p.m. to 3:00 p.m. with the family greeting friends. Interment will be held at the Clarinda Cemetery, Clarinda, Iowa. In lieu of flowers memorials may be directed to Tom Hagewood Memorial. Memories and condolences may be shared with the family on our website at, www.ritchiefuneralhome.com under Obituaries. Arrangements were entrusted to the Ritchie Funeral Home of Clarinda, Iowa, where we ‘Celebrate Life’. Thomas Leslie Hagewood, Jr. was born October 29, 1928 to Thomas L. Hagewood, Sr. and Ethel (Moore) Hagewood in Detroit, Michigan. He grew up in Detroit and attended Detroit High School. Tom served in the Army Air Corp in Guam during World War II. He was united in marriage to Julanne Nadine Stipe October 25, 1947 in Detroit, Michigan. They were blessed with three sons, Thomas Leslie Hagewood III, Roger Alan Hagewood and Martin Lyn Hagewood. Tom attended Clarinda Community College and received an Associate’s Degree. He then attended Northwest Missouri State University in Maryville, Missouri earning a Bachelor of Science degree in education and a Masters degree in administration. After his first year of teaching in Ute, Iowa, he taught seventh and eighth grade math in Clarinda Community Schools for thirty three years. His duties included coaching throughout his career in all sports. Preceding Tom in death are his parents; wife, Julanne Hagewood (03/22/1982); daughter-in-law, Linda Hagewood. 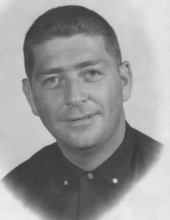 Survivors include his sons, Thomas Hagewood III, of Schuyler, Nebraska, Roger Hagewood of Clarinda, Iowa and Martin Hagewood, Sr. and wife Frances of Clarinda, Iowa; seven grandchildren, Scott Hagewood of Omaha, Nebraska, Jenny Keeley (Harold) of Clarinda, Iowa, Martin Hagewood, Jr. (Kathy) of Clive, Iowa, Sean Hagewood of Lincoln, Nebraska, Danee Githaiga (Geoff) of New Market, Iowa, Michael Hagewood (Heather) of Omaha, Nebraska and Matthew Hagewood (Crystal) of Clive, Iowa; twelve great grandchildren; sisters, Iris Davis and Marion (Wally) Bell of Detroit and Shirley (Wayne) Carlson of Las Vegas, Nevada and Diane (Bob) Batten of Kingman, Arizona; nieces; nephews and many friends. "Email Address" would like to share the life celebration of Thomas Leslie Hagewood, Jr.. Click on the "link" to go to share a favorite memory or leave a condolence message for the family.